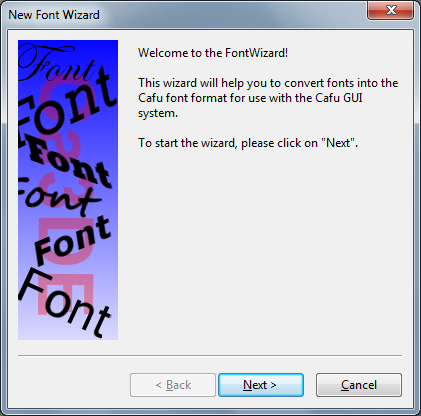 Start CaWE and select the related menu item to open the Font Wizard. Step 1: The welcome page. Step 2: Click the “…” browse button to select the desired font, or enter the filename directly into the related field. at the command prompt copy the desired font files from C:\Windows\Fonts into any other directory, then use the “…” browse button to select the related file. 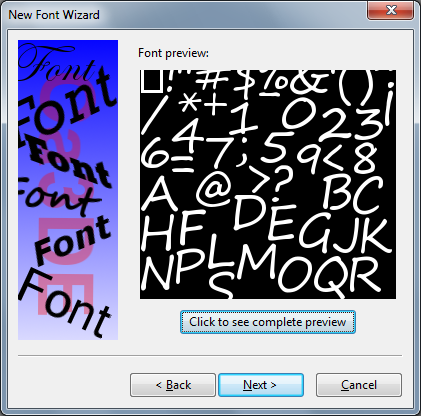 Step 3: Check the preview of the generated font texture. Optionally click the button to see a preview of all generated texture images. Step 4: Enter the name under which you would like to save the font. 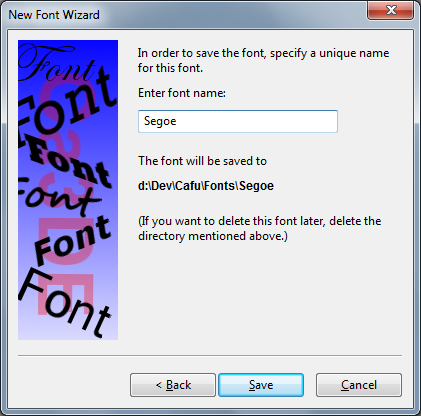 A new directory is created with the given name and all files related to the font are saved into this directory. 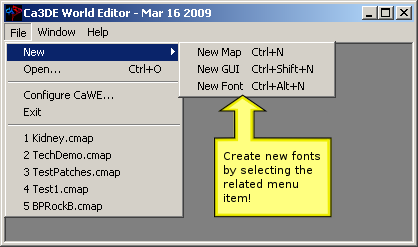 Step 5: Use the indicated name in the GUI Editor or a GUI script to activate the new font (see below for details). The Cafu Font Maker, version July 01 2009. Your font is now ready to be used in a GUI. Its name always begins with Fonts/, followed by the previously chosen font name. In our example above, the font name is Fonts/Segoe. 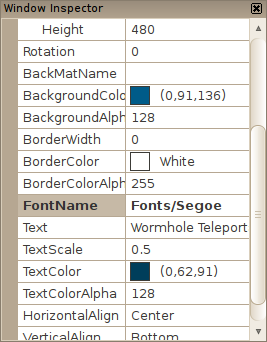 In the GUI Editor, enter the font name into the appropriate field of the window that should use the font. to the appropriate OnInit() function to use the new font.